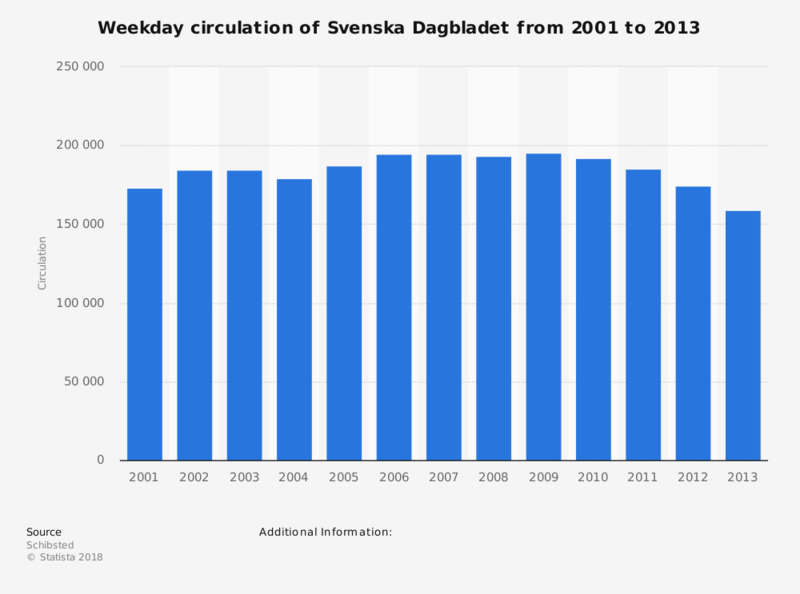 This timeline shows the average weekday circulation of the Swedish daily Svenska Dagbladet from 2001 to 2013. In 2012, the newspaper sold on average 174.4 thousand copies daily. The newspaper launched a new subscription model in April 2013.